Junín de los Andes, Argentina, is the birth place of Patagonia trout fishing. It all started when famous fly fishing author Joe Brooks met Argentine angler, Jorge Donovan in New York. Joe invited Jorge to visit and fish with him at his Isla Morada home in Florida. The favor was returned and Joe made an eventful trip in February 1955 to fish with Jorge and his friend, Jose Evaristo Anchorena, better known as “Bebe”. 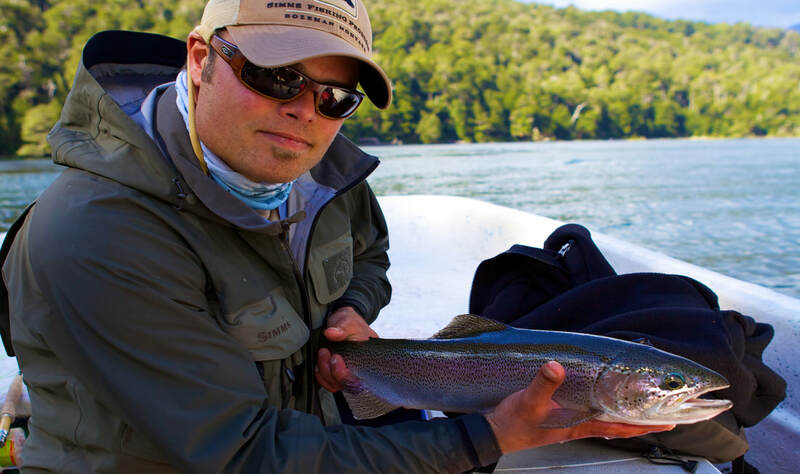 Argentina offers everything for the international fly angler including highly diverse trout waters, a variety of lodge accommodations and activities for non-fishing companions. To the west of Bariloche lie dense temperate rain forests with secluded lakes and emerald rivers. Off to the east, the dry Patagonia steppe is refreshed by large, clear rivers occupied by trophy trout and few anglers. The main waters around Bariloche are the Manso River, Limay River and Pichi Leufu River, plus Fonck, Moscas and Hess Lakes. Our trips in Bariloche offer a variety of Patagonia fishing, exclusive access to private water and our highly experienced, licensed and insured Argentina fishing guides. Click below to receive more information about our Argentina Fishing Adventure!